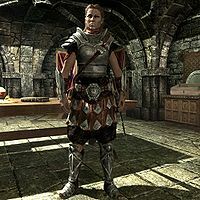 During the Interregnum of the Second Era, after the dissolution of the Second Empire, the Imperial Legion became the instrument of various warlords in Cyrodiil, notably the infamous Tharn family. Many disparaged the Legion around Tamriel during this time, claiming that it no longer exemplified the superb qualities it had in the past. They became engaged in relatively minor campaigns to annex surrounding regions, such as Reaper's March south of Colovia, with little long-term success. During the Alliance War circa 2E 582, under Magus-General Septima Tharn of the Seventh Legion, the Legion became engaged in operations across much of Tamriel, often with very little support. The Legion's leadership was encouraged to act ruthlessly, and they often engaged in abductions, as well as summary executions of disloyal soldiers, disobedient prisoners, or recalcitrant conquered civilians. 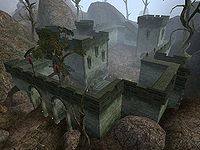 During the Great War, the Aldmeri Dominion initially invaded deep into the heart of Cyrodiil, capturing Leyawiin and Cheydinhal rapidly before the Legion could mobilize an effective defense. More Dominion armies invaded into Hammerfell, bypassing western Cyrodiil entirely. When they realized the weakness of the Legion, however, the Aldmeri Dominion grew bolder and mobilized an offensive against Cyrodiil as a whole, intending to bring the entire Empire under their control. Quickly, Bruma and the Imperial City were the only cities which remained under Legion control in Cyrodiil. Meanwhile, the legions in Hammerfell were pressed hard and forced to retreat, leaving the entire southern half of Hammerfell to fall to the Dominion. The Imperial City itself came under siege. Though relieved by several legions of hardened Nord legionnaires, the Emperor ultimately gave the order to break the siege and abandon the city. An entire Legion sacrificed itself to defend the Emperor's rear; this was in addition to the losses of two other legions from Cyrodiil and Hammerfell. At this time, the Imperial Palace was sacked, plundered, and burned. The Aldmeri Dominion began seeking an Imperial surrender. While the Emperor strung them along, he recalled all the legions defending Hammerfell and rearmed and refreshed the Skyrim and Cyrodilic legions. The legions from Hammerfell left a considerable number of veterans behind as they returned to Cyrodiil, successfully duping the Thalmor into believing the entire army was still fighting them there. The Emperor stormed south with his refreshed legions as the Hammerfell legions came in from the west. The Aldmeri Dominion, caught by surprise, was attacked by the Hammerfell legions from the west, while the Skyrim legions swept east and south and the Emperor, along with his personal Cyrodilic legions, assaulted the Imperial City, surrounding it on three sides and fending off Dominion reinforcements. They retook the Imperial City and all of Cyrodiil, but it was hardly a victory: four legions were lost in total, and none of those remaining were at even half-strength. But the weakened Aldmeri Dominion sought peace, resulting in the White-Gold Concordat being signed, which essentially gave in to all the Thalmor's initial demands. 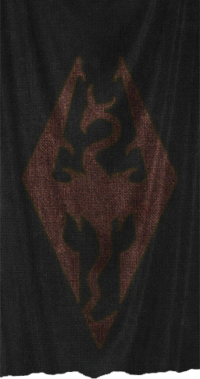 The Legion, a shadow of its former self, was left with soldiers from only Cyrodiil, Skyrim and High Rock. Esta página foi modificada pela última vez à(s) 23h42min de 23 de abril de 2015.